Create a brand for the new premier arts and entertainment venue in the Fond du Lac, Wisconsin community. The name for the venue, THELMA, was already chosen. Our job was to bring it to life. The THELMA team shared its vision and goals with Street Cance Creative during site visits, interior design consultations and meetings. 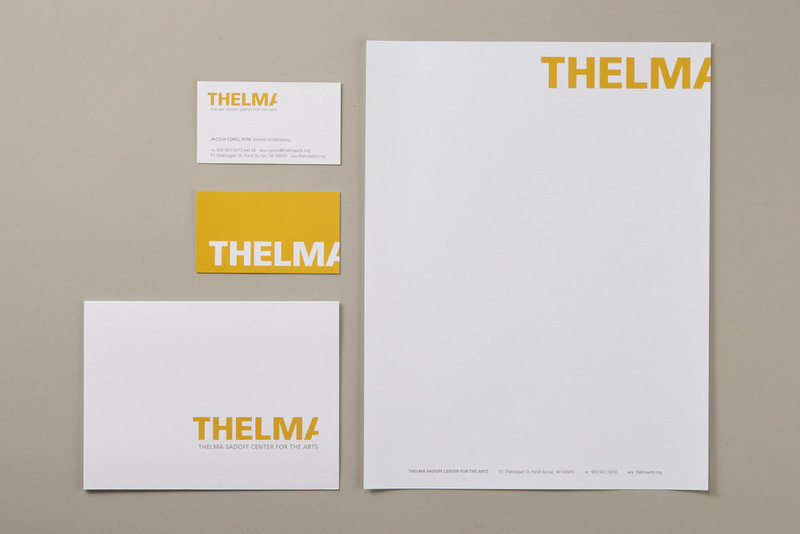 Together, we outlined the objectives of the THELMA brand. Street Cance Creative designed five different logo concepts, presenting our client with options as to which look best resonated with their vision for THELMA. During this stage, logos were illustrated in print, environmental applications and products to demonstrate their impact and flexibility. The final logo selection was a strong simple design that could be applied to an infinite number of applications. The brand was then implemented through a new website, signage and print applications, as well as a branding standards manual.